Sometimes, it is said, that when the sun goes down and we go to sleep, the souls of our homes come out. They sing and they dance and they tell stories. Stories of love and hatred. Stories of passion and perfidy. Stories of times gone by. Stories of lives gone by. These monuments tell the story of Islam in India. Of its spread and synthesis with other cultures. An allegory of its monuments and mosques, its forts and graveyards. A tale of imprints left by the Islamic dynasties. Though they died and little remained as the future took over – their buildings, their signposts to posterity still remained. “Whether in color or clay, or stone/whether by the harp, or a letter or sound/ The true miracle of art is shown when nourished by the heart’s blood” says Iqbal. God builds for him a similar house in paradise’. Rulers from different parts of Islamic world, who came to India and settled here brought with them the artistic traditions of their regions. The intermingling of such traditions with local Indian practices resulted in different examples of Indo-Islamic art. It was neither a local variant of Islamic art, nor a modification of Hindu art; it was an assimilation of both the styles. Just like the Islamic art that came to India- a combination of Turkish, Persian and Arabic symphonies, Islamic architecture readily incorporated many Indian architectural elements. These include courtyards surrounded by colonnades, balconies supported by brackets, and most of all ornamentation. Islam introduced to India the dome, the true arch, geometric motifs, mosaics and minarets. Quwwat-Ul-Islam. A grand mosque, a new beginning. The first mosque extant in India. It takes the form of large quadrangular court – 142 by 108 ft.
Quwwat-Ul- Islam literally means the might of Islam. An ambition, it later turned out to be a premonition. Of the mighty Islamic power in India. Qutb-ud-din Aibak built Quwwat Ul Islam between 1191 and 1196, a bountiful 380 years after country’s first brush with Islam. In 712 AD, Qasim, a young Arab adventurer, had captured some Hindu cities of Sind. He is said to have built a mosque in the city of Daibul. The sands of time have not been too kind to those earliest footprints of Islam in India. Qutb Ud Din Aibak was a trusted slave and general of Muhammad Ghori. After extending his empire to a major portion of India, Ghori went back to Afghanistan. He left his Indian dominion with Qutb Ud Din. Qutb Ud Din was the first one to realise that he, who holds Delhi, holds India. Delhi was not far from the foothills of Himalayas and the beginnings of the great desert of Thar. As such, it was the ideal location to fight the invaders coming from the north west land route. He chose the Qila Rai Pithora, present day Mehrauli, as his capital and laid the foundation of Quwwat Ul Islam. There was a significant difference between Qutb Ud Din and the invaders before him. Qutb Ud Din was here to stay. And to establish his intentions, he decided to build the kind of monument that will speak of his dreams for centuries to come. But armies never have any use for creators like architects and builders. Hence when Qutb ud din decided to build a mosque, he could not find a suitable person for the job. There was no one in his army and there was certainly no one in India who was conversant with the art of building mosques. Qutb Ud Din Aibak couldn’t find anyone skilled in the art of building Islamic architecture here. The erection of a mosque, however, was imperative according to the instructions of prophet Mohammed and the Islamic faith, which had as one of its main tenet’s tenets the practice of mass gathering together in brotherhood for prayer. The gap between religious imperatives and pragmatic understanding of available resources probably led to a sort of joint venture between the Hindu and Islamic thought and architecture. This joint venture was to influence the shape of both Islamic and Hindu architecture for the next few centuries to come. The great arched screen façade is the most important characteristic of Quwwat Ul Islam. These great lofty arches are constructed of random rubble masonry. A layer of exquisitely dressed stone on the façade adds to the splendour with its inscriptions related to the history of the building and others taken from the holy Koran inscribed in naqsh lettering. Before the advent of Islam, concrete and mortar were rarely used in India. Islamic builders freely used these materials for spanning wide spaces with their arches and roofing immense areas with their domes. The surrounding arcade is made of a cluster of stone pillars with pyramidical roof in the corners and flat roof otherwise. On these stone pillars we can see elaborate carvings. The legendary Iron pillar is a part of the complex, standing right in the front of the arched screen. Its origins are a mystery, just like the pillar itself. It hasn’t rusted for thousands of years, standing without any protection support. This iron pillar bears many inscriptions, dating from different times and different eras. The earliest of these inscriptions, believed to have been originally filled with silver, states that Chandra, identified as Chandragupta II of the Gupta dynasty erected the pillar as a victory tower. But the legends attribute it to King Ashoka, to the extent that it is popularly known as the Ashokan pillar. Now the pillar is barricaded to save it from mishandling by curious tourists. But, according to popular belief, anyone who stands with his back to the pillar and encircles it with his arms will have his wish granted. Looking at the now- tamed pillar I wonder, did the man who built the pillar wish for immortality? In 1230 AD Iltutmish enlarged the quadrangle of the Quwwat Ul Islam mosque to more than double its size. He added to the mosque enclosures on the north, south and east sides, and extended the prayer chamber and the huge arched screen in front. Wings were built on both the north and south sides. In these extensions, the earlier scheme was adhered to. The original style was maintained, except in one major way. 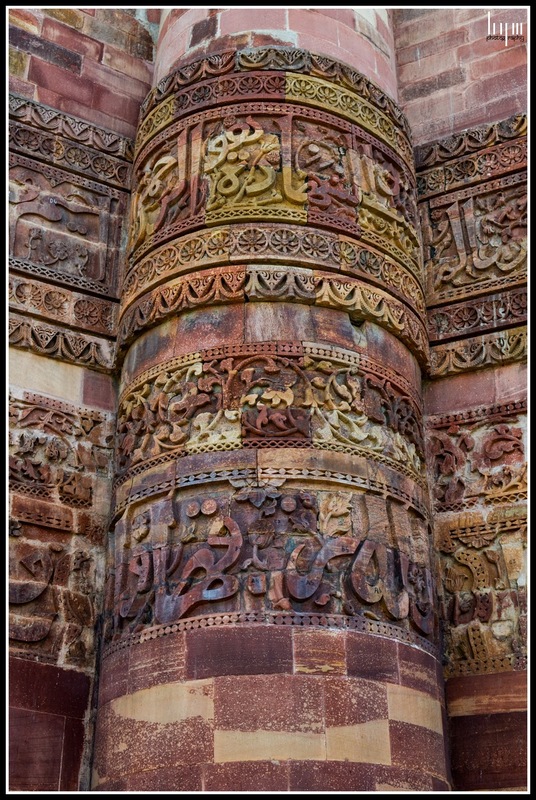 The inscriptions were the only Islamic part of the surface ornament in Qutb Ud Din's screen. On the other hand, in Iltutmish's work the patterns were identical with those found on contemporary Islamic monuments in other countries. But even with a similar scheme of construction, the extensions never looked part of the mosque. They remained mere extensions, separate units sans context. In the year AD 1199, Qutb Ud Din Aibak laid the foundation of a tower that rose to a staggering height of 234 ft. This was Qutb Minar- the highest tower in the contemporary world. Around the same time that the Qutb was being completed. Yusuf I raised the Giralda at Seville in Spain. These parallel constructions heralded the grace of Allah over the Islamic world of the thirteenth century. Qutb Minar is identified with Delhi, as the Leaning Tower is associated with the city of Pisa or the Eiffel Tower with Paris. The idea of Qutb is supposed to have its origins in the Ghaznavid brick minarets near Kabul. 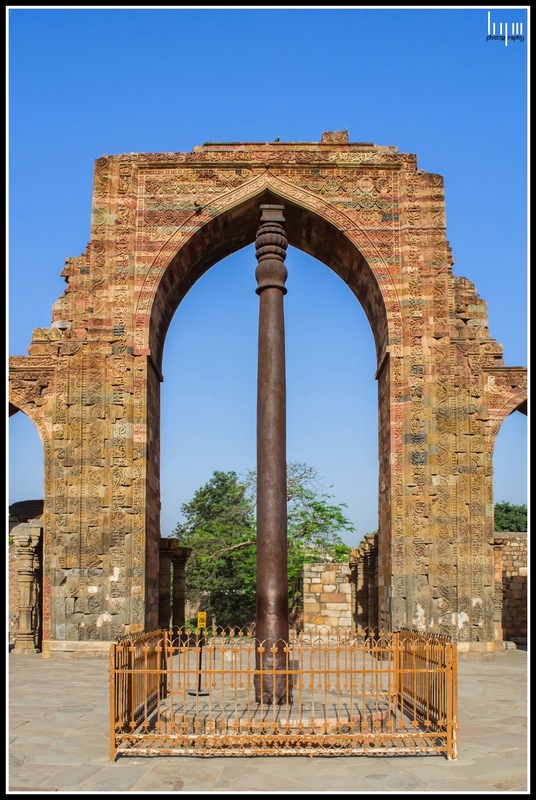 Qutb’s proximity with the Quwwat Ul Islam Mosque gives the impression that it might have been intended as mazna or the tower from which the crier or the muazzin gives the call for the namaaz. Other reasonable guesses project Qutb Minar as a victory tower or an excellent watchtower. From its balconies, the plains were visible for miles ahead, which would’ve made detection of enemy movements easier. The mythology around the minar suggests that it was the stairway to heaven. Whatever may be the reason behind building the monument, there is no doubting the fact that it is an awe inspiring structure right there with the Taj Mahal and such like which have bought India on the map of world famous architecture. 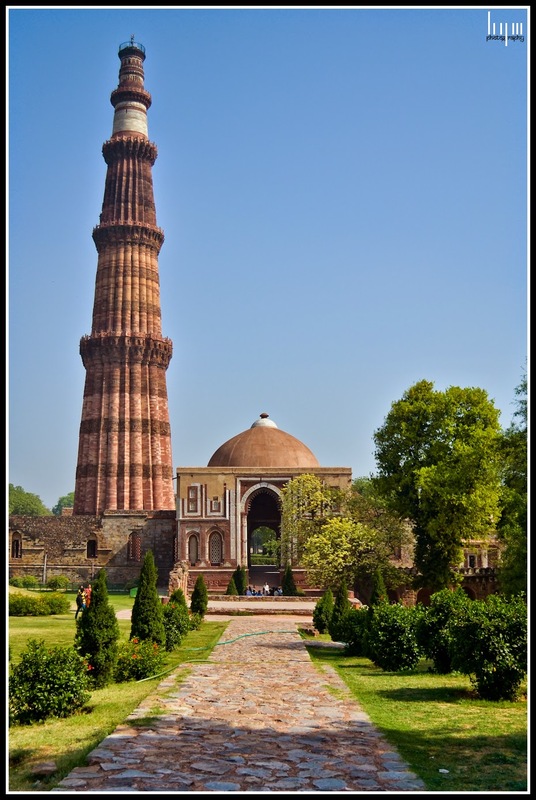 Qutb Ud Din, however, could complete only the first storey of the Qutb Minar. He died from a fall from his horse while playing Chaugan, a kind of ancient polo, at Lahore. Legends attribute his death to a curse. On the fateful day, while going for the game, he passed tanners’ street. He was so nauseated with the smell that he ordered the tanners to shift out before he came back from the game. A saint who lived among the tanners said that his rule would terminate when he is on the polo field. The rest happened as history recorded it. 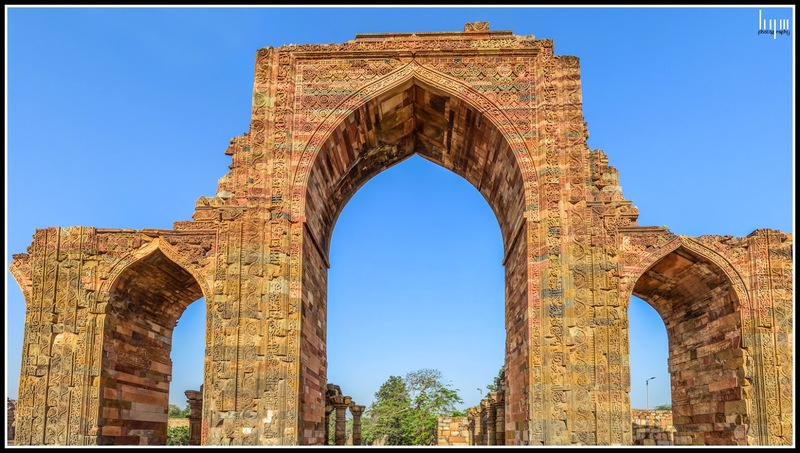 The first storey, as built by Qutb-Ud-din, is a polygon of 24 facets formed of alternate angular and semi-circular flutes. The inscriptions largely consist of Quranic quotations as well as eulogies of Qutb Ud Din's master Muhammad Ghori who is referred to here as Muhammad Bin Sam. Iltutmish, Qutb Ud Din’s successor and son in law, built the second, third and fourth stories of his father in law’s dream. Iltutmish, pronounced Altamish in Turkish which means sixty, was called so because as a slave, he was purchased for a mere sixty tankahs. He went on to marry Qutb ud din’s daughter, and the rest as they say, is history. 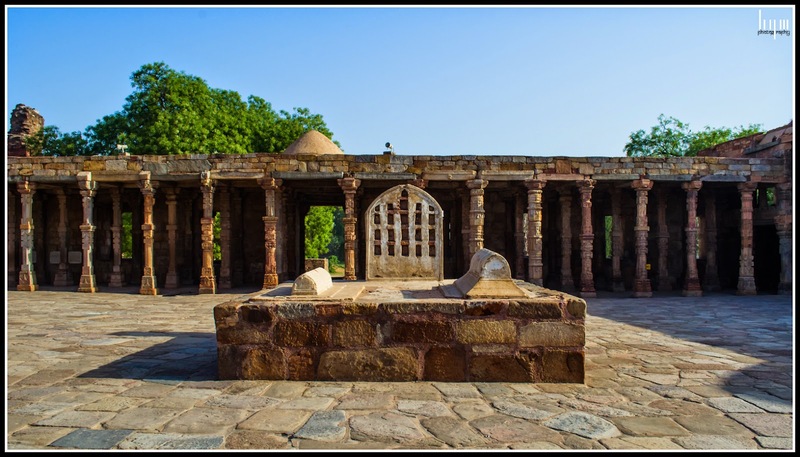 In Firoz Shah Tughlaq’s times, nature played its part in the making of Qutb. It was struck by lightening and the fourth storey was damaged. It was replaced by two smaller ones, raising the height of the minar to 234 feet. All the lower storeys are built of red and buff sandstone. Marble is used for the first time in the fourth storey. By 1828 a sandstone cupola of late Mughal style designed by Major Smith was placed on the Minar with the Union jack fluttering over it. Major Smith, a Britisher, was also responsible for the Gothic balustrades surrounding the balcony of the Qutb Minar. In 1848 the cupola was removed by an order of Lord Hardinge, the then Governor General of India. Today, it rests to the southeast of the Qutb Minar, an absurdity in the imperial surroundings. Qutb Ud Din’s dominance was a fairly large one for its times. It extended from Delhi to Gwalior, Kannauj, Kalanjar in Bundelkhand and Ajmer, where he built another major mosque called Adhai Din ka Jhompra. Adhai Din Ka Jhompra literally means ‘two and a half days hut’. This mosque is built on a site, which used to host a two and a half-day fair. This led to the curious name given to the mosque. Another version says that it was constructed in two and a half days, which seems highly unlikely keeping in mind the fact it was constructed by two successive kings. Adhai Din Ka Jhompra bears some resemblance to the Quwwat Ul Islam Mosque in style as well as in construction. But the scale of this mosque is much more impressive. The arched façade in front of the prayer chamber was later added by Illtutmish. This arched screen was an Islamic tradition, which was originally meant to protect the leaders of the community during prayers. It owed its beginnings to the times when three early caliphs were murdered. As a counter measure, Caliph Osman built the first maqsura in front of the cloisters of Prophet’s mosque at Medina in the seventh century. The circular bastions add grandeur to the entire design, giving it a fortified appearance. The exquisite white marble Mihrab representing the qibla in the western wall adds to the beauty. Qibla is the direction towards which the Muslims pray. In his first two years at Medina, the Prophet prayed facing toward Jerusalem. One day, he had the revelation that the true qibla lay in Mecca. From those days it has been the qibla for prayer, determining the orientation and spatial organization of all mosques throughout the world. It is said that the great Sufi saint Khwaja Moin Ud Din Chishti offered namaz here for 37 years. This gives the mosque an enhanced prestige, especially in the days of the urs or commemoration of khwaja’s passing away to his heavenly abode. The mosque has two unfinished minarets over the parapet of the central archway. Its engrailed arches impart a certain novelty to the structure. On the whole, though not a masterpiece, Adhai Din ka Jhompra is definitely a benchmark in the evolution of Islamic architecture. The Indo Islamic architecture can be broadly divided into four categories- mosques, forts, palaces and tombs. This deserted tomb in Delhi’s Vasant Kunj colony is the first example of Indian tomb architecture. Sultan Ghari, often mispronounced as Sultan Garhi, is a fortified tomb. This fortification set the precedent for similar tombs for the next century. It is constructed of grey sandstone of golden hue. The inscription on the facade gives the name of the occupant of tomb, his father, and the year of construction. This is the tomb of Nasir Ud Din Mahmud, the eldest and ablest son of Iltutmish. The year of construction was 1231. The building of structure over graves has been actively discouraged in Islam. It is indeed surprising that in spite of this, tombs became such important structures of Islamic architecture. Tombs were the symbols of power and prestige among the royalty and the nobility, so much so that many kings and noble got their tombs constructed in their lifetime itself. The underground tomb chamber is octagonal in plan. It set the precedent for the octagonal tombs that became prevalent in later times. Ghiyas Ud Din Balban was the last great ruler of the slave dynasty. Within three years of Balban's death, the Slave dynasty came to an end. It was 1290 AD. Khaljis were waiting in the wings to take over the sultanate of Delhi. These were still early times for the Islamic builders. Problems of construction relating to the Islamic design still remained. The arch and the dome were still proving problematic for Indian builders. Construction of the circular dome over a square building was also not perfected. Did the Khaljis managed to solve these enigmas? What fascinating new experiments did they carry out? Our story, along with history, takes a new turn as we continue our journey in the footsteps of time.